Our literary professionals are awe-inspiring. Their ability to write, illustrate and market these books to foster a love of reading and learning throughout the nation, and the world, is remarkable. The potential they have in capturing young people’s hearts and minds is nothing short of extraordinary. Having some of these wonderful books celebrated and acknowledged in the Children’s Book Council of Australia Book of the Year Awards is certainly a positive sign of their credibility. 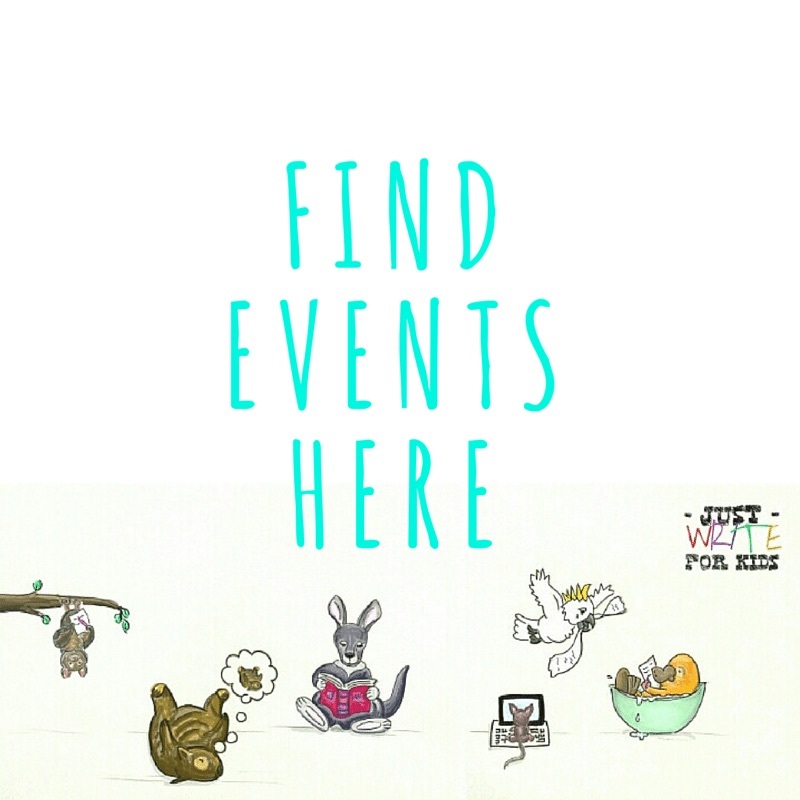 Following on from my previous ‘Books Light Up Our World’ reviews and activities list, here are a few more to discover to help celebrate a love for reading. Shortlisted Picture Book of the Year. 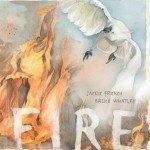 Fire, Jackie French (author), Bruce Whatley (illus. ), Scholastic Press, 2014.
Review – Literally lighting a world before our eyes, burning through our hearts is the highly evocative and devastating story of loss, courage and regrowth following a natural disaster. With French’s mesmerising poetry that simply takes your breath away, paired with Whatley’s grippingly haunting, bleeding and volcanic spreads, ‘Fire‘ engulfes the land, and our emotions. From pain comes strength, and we are uplifted by the human spirit, the power of love and the rebirth of a new dawn. Acrostic Poem. 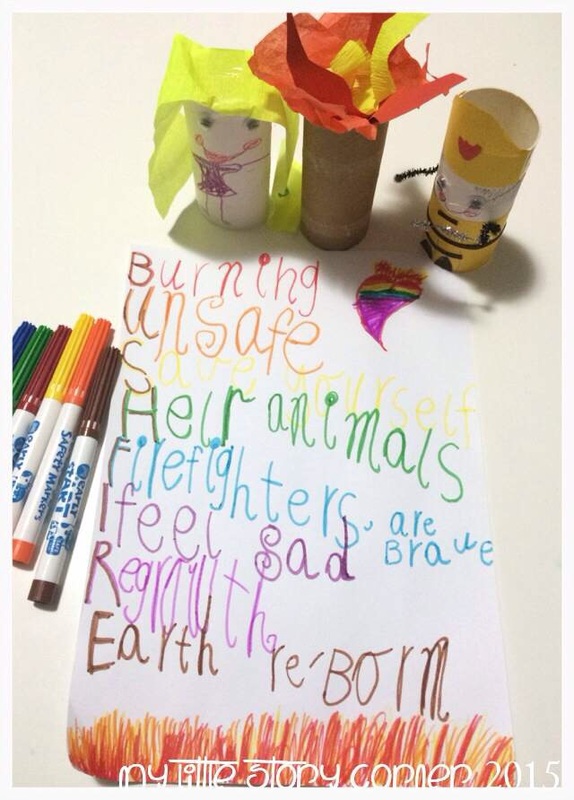 Use the word BUSHFIRE (or your choice) to write a poem (acrostic or other), utilising symbolic language representing the events in the story. For more Fire teaching notes please click here. 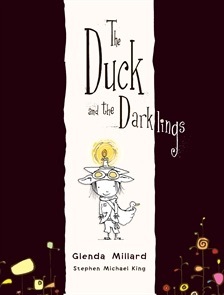 The Duck and the Darklings, Glenda Millard (author), Stephen Michael King, (illus. ), Allen & Unwin, 2014.
Review – This book is sure to strike up a spark in your heart. From total desolation comes a story of hope and triumph, with an exposion of warmth. Living in the land of Dark, Peterboy brings the dazzle and glimmer to his Grandpapa’s eyes with a treasured scrap of wonderfulness; a downy-hearted duck called Idaduck. As Grandpapa restores Idaduck’s health, his glow of forbidden fondness (happy memories) is also restored, and in consequence, their world becomes strangely bright once more. Captivating, poetic text and striking, bold illustrations make ‘The Duck and the Darklings’ an award-winning book of depth, wonder, radiance and immense significance. Educational Activity – Language, Science. 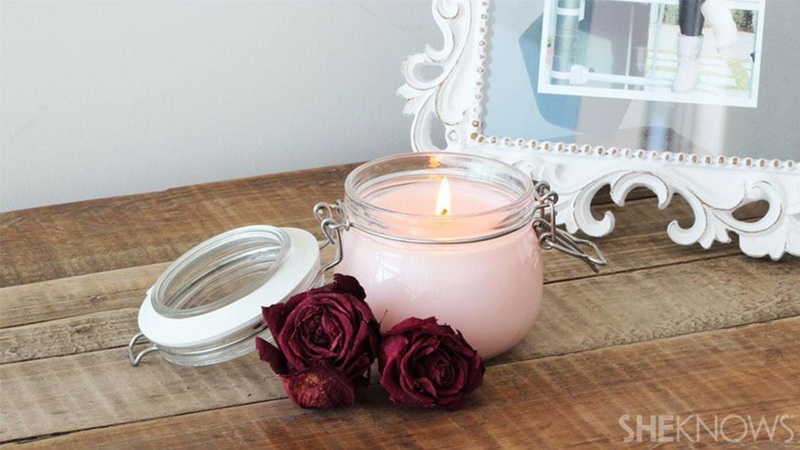 Light up a room with your very own homemade candle. 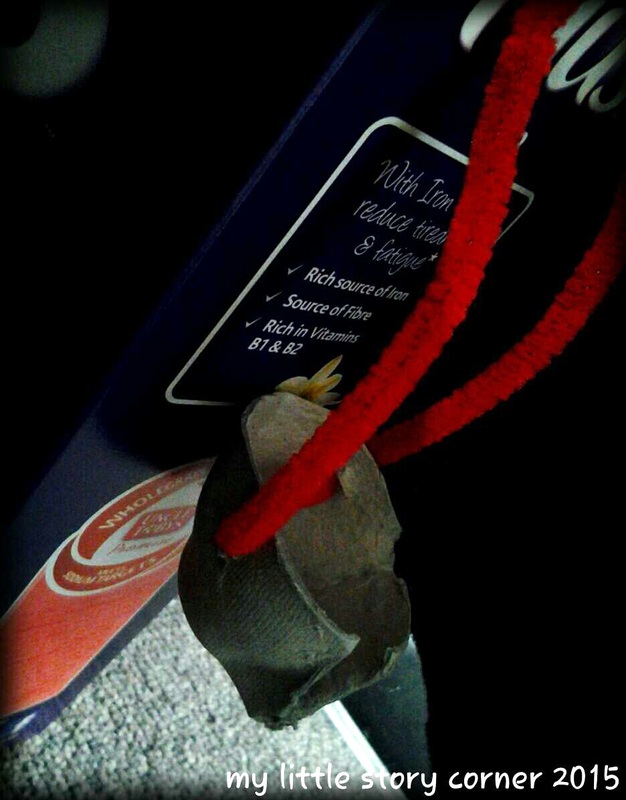 Materials include wax flakes, pre-waxed candle wicks, container for candle, crayons, essential oils (optional). For instructions please click on She Knows. 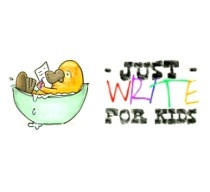 For more The Duck and the Darklings teaching notes please click here. Shortlisted Early Childhood Book of the Year. 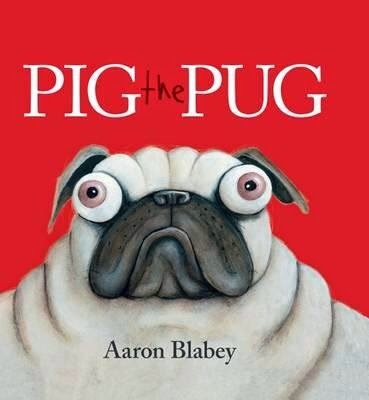 Pig the Pug, Aaron Blabey (author, illus. ), Scholastic, 2014.
Review – Well, what can we say about this little pug? I’m sure you all know the story well… A greedy, selfish, bulgy-eyed, maniacal dog who refuses to share nothing but insults with his flatmate sausage dog, Trevor. How does this book coincide with the theme of ‘Books Light Up Our World’? Let’s see. Pig steals all the limelight. He has a flash of craziness in his eyes. The highlight of the story is his utter misfortune, involving a bright, sunlit window and the reference to the phrase ‘when pigs can fly’. And the fact that through the darkness of Pig’s heart there is a little glimmer of hope that he has learnt a lesson… Aaron Blabey’s hysterical rhyming text and eminently vivacious illustrations definitely fire up its readers with the inexplicable placing of a soft spot for our furry friend (or foe). Help Pig the Pug to fly! 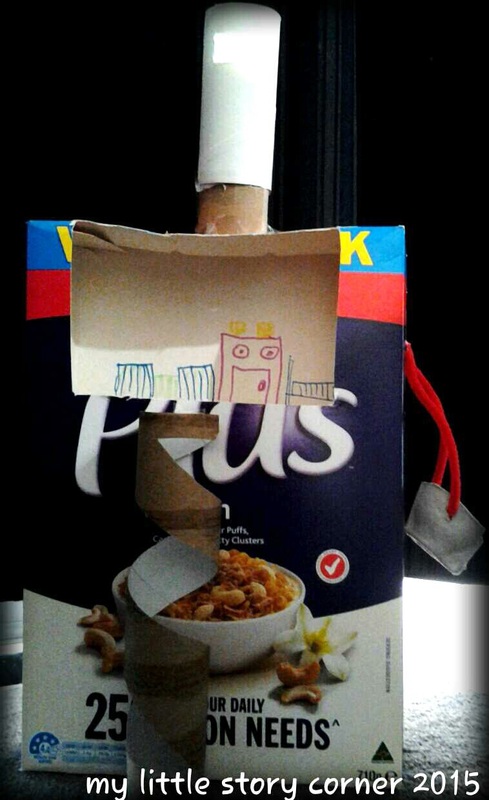 Design and construct a straw rocket that can propel Pig through the air. 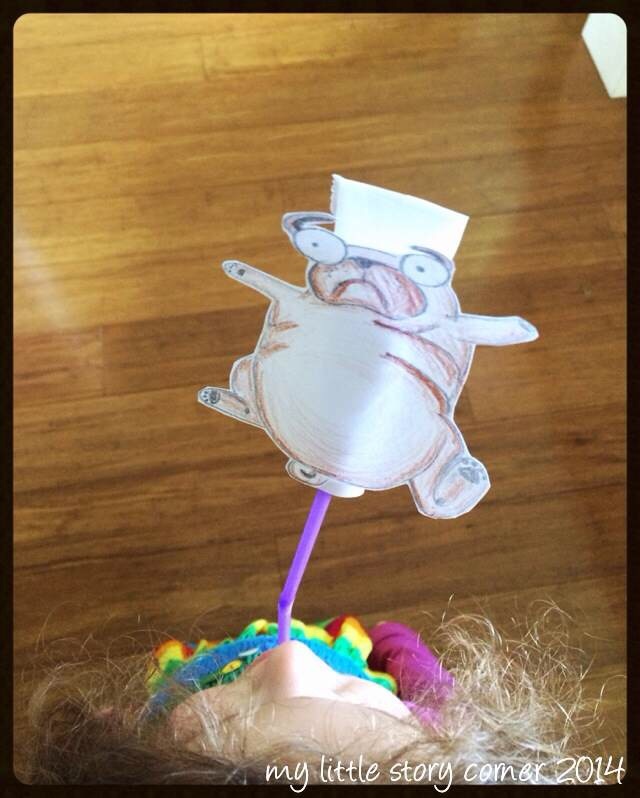 Draw and cut out a picture of Pig the Pug. Roll up a strip of paper to fit long-ways, stick it at the back of the picture and fit over a straw, sticking down the top end. Blow through the straw and watch Pig fly! For more Pig the Pug teaching notes please click here. 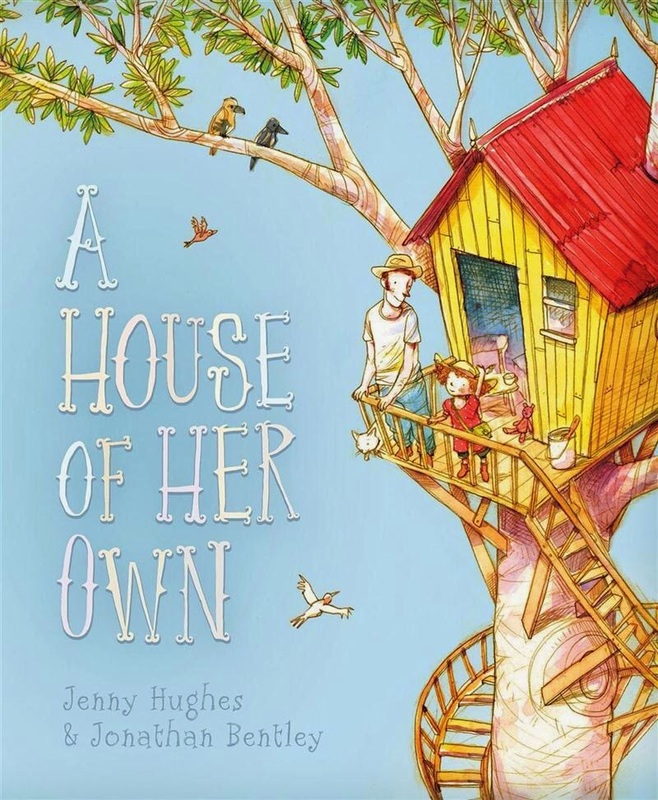 A House of Her Own, Jenny Hughes (author), Jonathan Bentley (illus. ), Little Hare Books, 2014.
Review – Audrey requests the most extraordinary favour of her happy-go-lucky father, which if anyone received would certainly light up their world. When Audrey proclaims that she is too small for her current abode, a house high up in the backyard tree sounds perfect! Her handy dad fulfills all her wishes, from the marvellous spiral staircase, an over-hanging snorkelling tub, a spot for sipping tea and a comfy blue bed. It’s spectacular, but all that independence and responsibility is perhaps more than Audrey can handle. Was building Audrey’s heavenly, light-filled tree house the most brilliant idea afterall? Endearing dialogue between Audrey and her accommodating dad, and breathtaking, vibrant illustrations make ‘A House of Her Own’ an energetic and sunny book of love, dedication and achieving magnificent heights. Educational Activity – Language, Science, Technology. 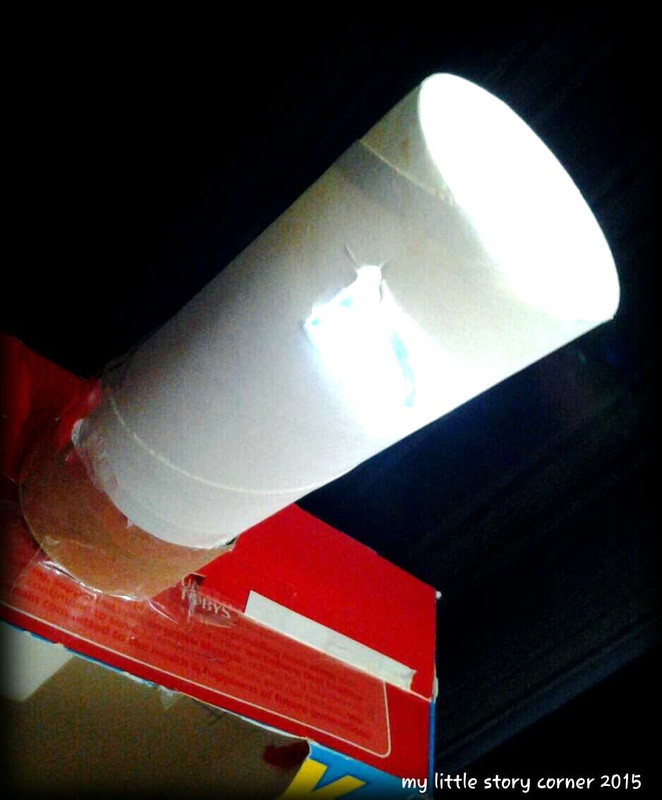 Design and construct your own magnificent tree house filled with light using a box, paper rolls, textas, egg cartons, pipe cleaners, other craft materials. Use a torch and/or mirror to glow or reflect light. Discuss your own needs and create places to bathe, cook, sleep, entertain, and of course, a spiral staircase! Write labels on a diagram and/or a sentence explaining how this house of your own is your ideal dwelling. Have you created or seen fantastic book ideas for a book that you love? Look out for the announcement of the 2015 Winning Books of the Year from the CBCA tomorrow! Which book are you tipping for a win?